Sale information and updates posted here. Please join us at our next sale on January 4, 2014. Our sale begins with hay and straw at 10:00 am. We are having an inventory reduction tack sale around 10:30, be sure to get to the sale barn early to get a good seat! Horses sell at 3:00 pm. 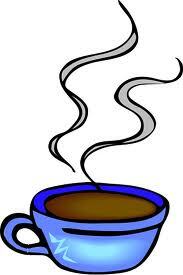 Please be sure to register to bid, in order to get your free coffee/hot cocoa coupon good for the January sale! We are always accepting quality consignments, be sure to contact us in order to get in the sale order early. The sale will start with the hay, straw, machinery @ 10:00 am. We also have a halflinger shoeing stock to sell at that time. We will then move inside for tack. Horses start @ 3:00 pm. 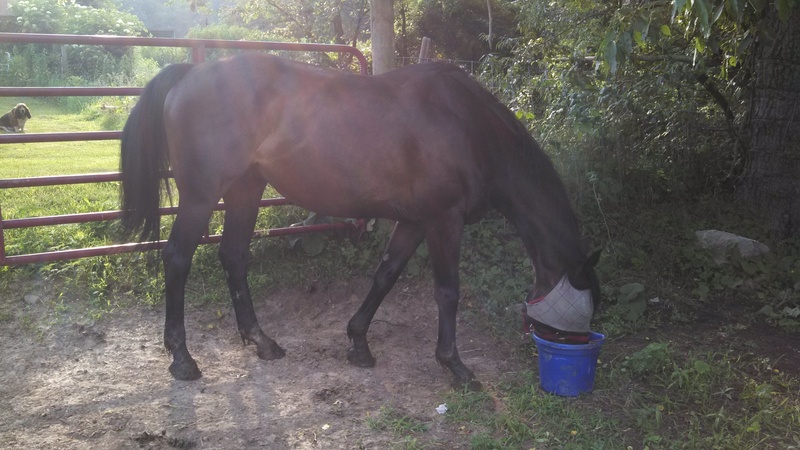 More quarter horses and a Belgian mare were consigned last night. Hoping for lots more this morning! John Deere Model L manure spreader. Consigned by Neal Troyer. John Deere 1 row cultivator. 2 wheel manure spreader on rubber. Corn binder with tongue truck. 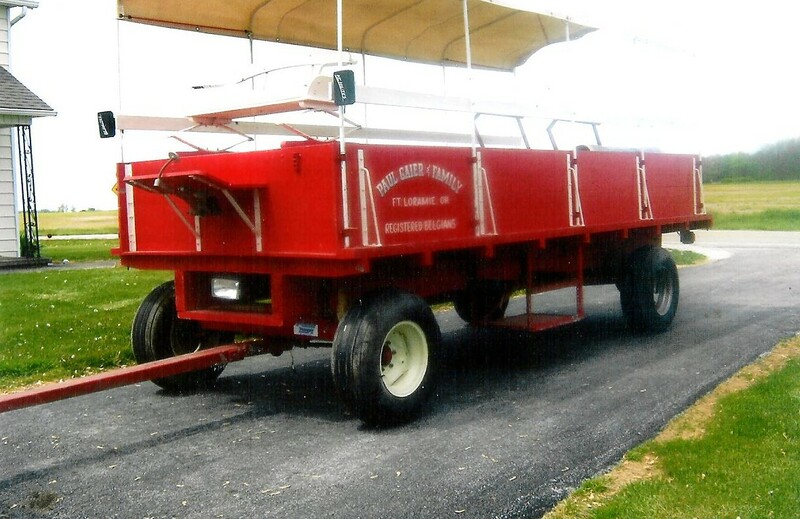 Pioneer wagon with cover and seats. See you October 5 @ 10:00 am! Looks like some nice cool, slightly wet weather for tomorrow’s sale. Don’t worry, there are plenty of dry seats in the arena! 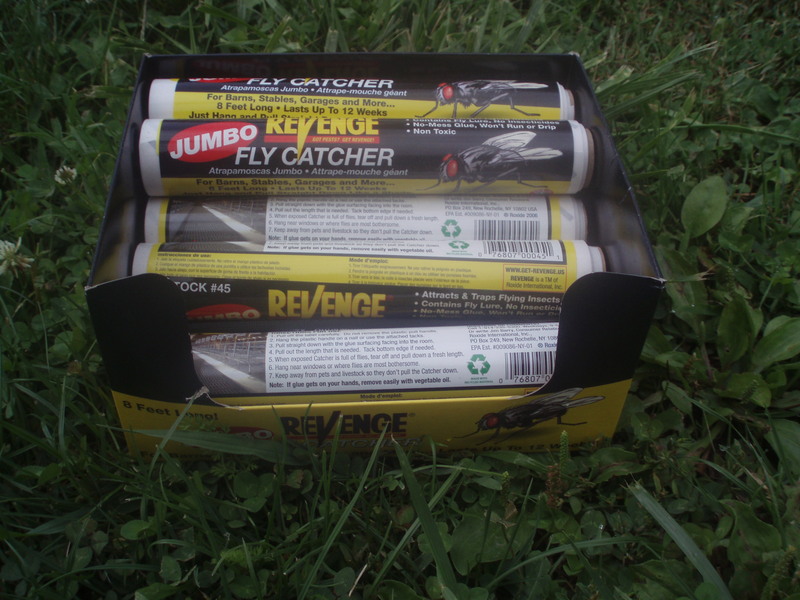 Check out these jumbo fly catchers that will sell with new tack. 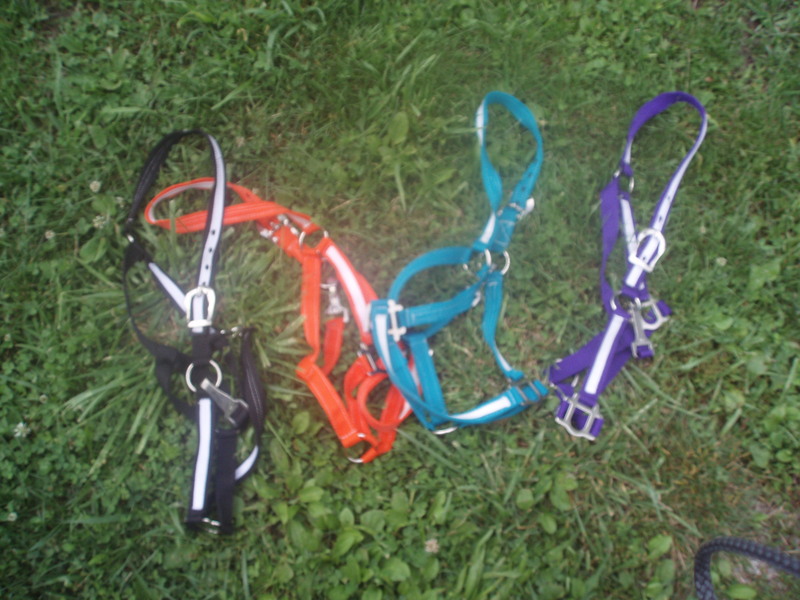 We also picked up some brightly colored, horse size halters. 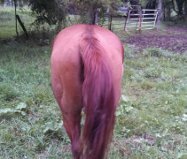 These will be easy to spot in the pasture! We will start with used tack at 10:30 am. (Accepting used tack all morning, until 12:30 pm). There is a sturdy horse sized cart already consigned. 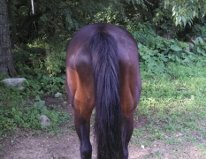 We will sell new tack in the time we have left before horses. Horses will sell at 3:00 pm. NOTE: the AQHA filly previously advertised is OUT of the sale. Stands 16.2. Used for English jump dressage and trails. Easy keeper not hot at all. 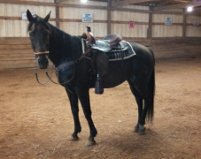 Next, a 14 year old quarter horse used for trail riding and as a lesson horse. She is sound, no bad habits. See her in person on Saturday. 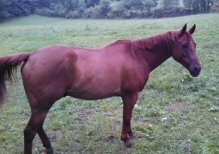 Also consigned are 2 Belgian geldings and one Belgian mare, all between 10 and 11 years old. There will be round bales for sale. 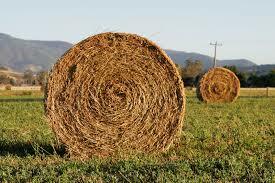 Hay sells @ 10:00 am. Remember, horses are going to sell at 3:00 pm. We are now selling used tack first starting at 10:30 am. Be sure to get your consignments checked in before 12:30 pm. We look forward to another great sale! There is still time to get me pictures and info of your consignments. Free Cup of Coffee/Hot Chocolate on Saturday!